Many of you have been asking about our recolonization at Lehigh and are very hopeful for a strong return. So am I—that’s why I’m sharing a general timeline for the process and taking an opportunity to remind you how you can help. 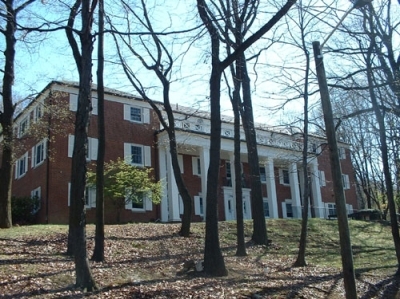 LXA becomes eligible for recolonization. This will mark five years since we closed—we are finishing up year four of our suspension now. After we are eligible to recolonize, we must wait for Lehigh to announce an expansion period. Once the expansion period is announced, Lambda Chi Alpha, along with every other eligible chapter, can apply. It’s important to note that only national organizations can apply, so we must work with LXA national on the application. Lehigh will review all applications and select two to three organizations to present to a committee. The committee will then chose from those finalists who can start the recolonization process. If LXA is selected, there will be many steps involved in transitioning from a colony to a full chapter. More details will be announced at that point. Only once we become a full chapter can we apply for a house on Lehigh’s campus. The best thing you can do is stay in touch with our national organization and Lehigh. Don’t let them forget about us. In speaking with others who have gone through this process at Lehigh, they all say the same thing: alumni involvement is vital. Though there isn’t much you can do now, rest assured that once the expansion period is opened, the alumni organization will let you know. At that time, please let LXA national know that you want a chapter back at Lehigh. For now, please remember what LXA means to you, stay involved, and remember to keep the updates coming (submit one here). Donations are also greatly appreciated as they keep our communications going during this time (make a donation here).